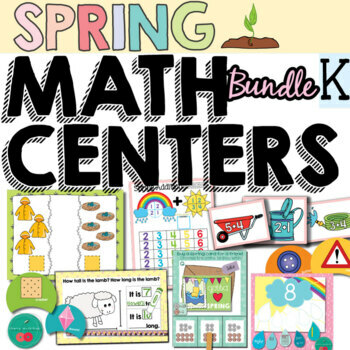 This is a Spring Math Center to teach and practice beginner money recognition skills as well as place value through using dimes and pennies for the prices. •All of the above is available in color and in black and white. • 20 Task Cards with 20 different Spring Cards Design with prices and 3 options of coins combinations for kids to choose the correct one. • All of the above in black and white. • 30 petals - 5 for each flower with pictures of real life objects depicting shapes. 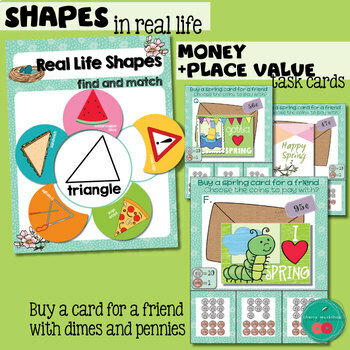 Shapes included: circle, square, rectangle, triangle, oval, diamond/rhombus. 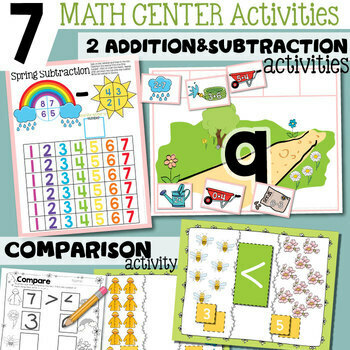 These are great for math centers as independent practice. You can also use them in small group work and guided math.